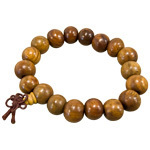 12 mm beads are made from wood that has been engraved with the Kanji symbol for Buddha. 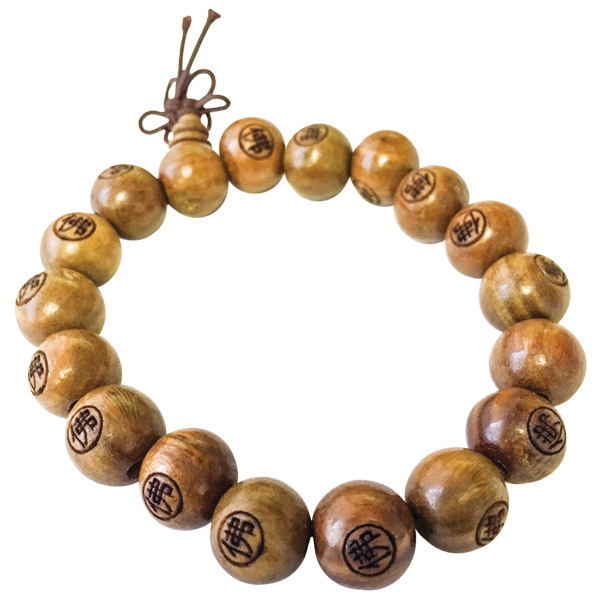 This bracelet is finished with a Chinese endless knot which signifies health, safety, security and good luck. 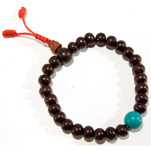 Mala bracelets make wonderful sacred jewellery that appeals to men or women. 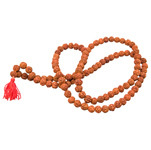 A mala is a tool for being mindful. 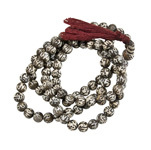 It can be used to count repetitions of a mantra, a yoga pose or to set an amount of time for meditation. 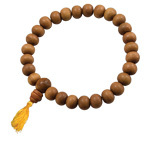 This form of counting allows one to focus rather than counting repetitions. 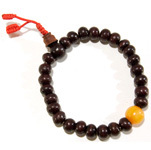 In translation, japa means repetitive prayer and mala means garland. 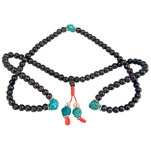 The beads are used to count repetitions of prayers, chants or mantras. 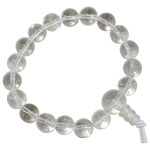 One repetition is usually said for each bead while turning the bead clockwise with the thumb. 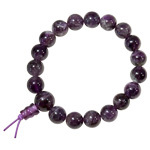 There is an additional bead, known as the guru bead, counting should start next to this bead. 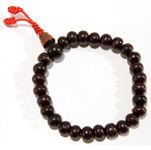 Usually the guru bead is not used during counting, but rather the counting then proceeds in the opposite direction. 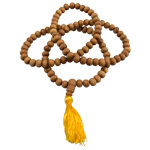 There are many types of mantras and styles of counting. 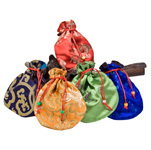 Research is recommended to find the style that works for each individual.